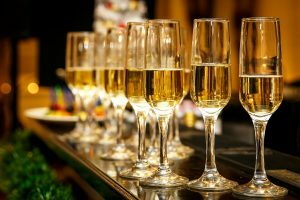 Join us for our exclusive New Years Eve dinner party and disco to welcome in 2019 in style and comfort. Doors open at 7PM for dinner served 7:30PM but why not arrive earlier for a few drinks in our lounge bar ? *£10 per head deposit to secure booking. Both our bar and restaurant are open on New Years Day from 12 noon.